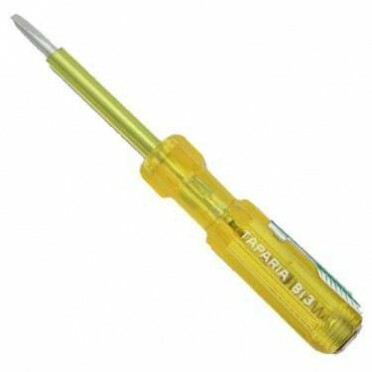 TAPARIA Line Tester has high quality blade and cellulose acetate plastic Handle.Fully insulated blade ensures shock proof working. Distinct glow of Neon lamp identifies line ‘live’. Features a clip for safe carrying in pocket. Available in several sizes.